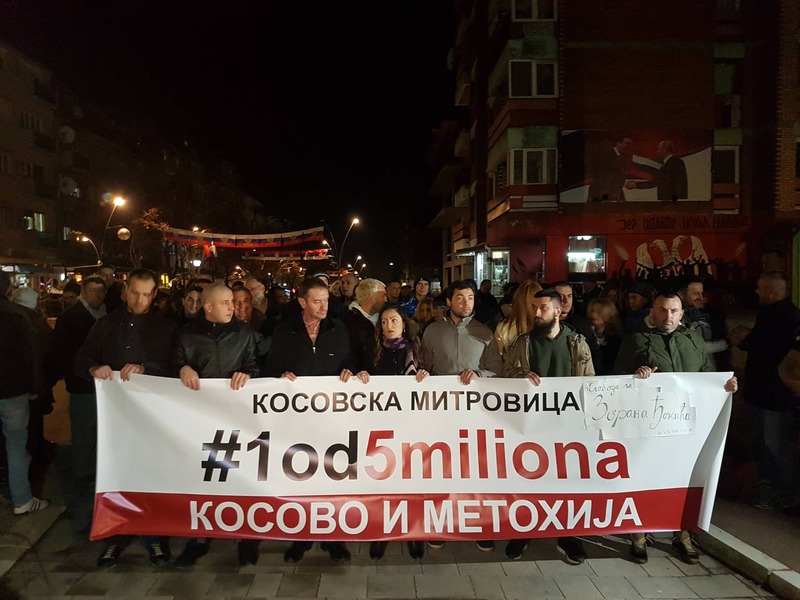 The first “1 out of 5 million” protest was held in North Mitrovica on Saturday.The protest was attended by approximately a hundred protestors. 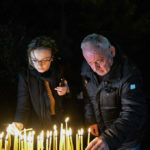 Their demands, as they say, are simple – they want to know who are the perpetrators and instigators of the murder of Oliver Ivanovic, and for everyone in Serbia to have the right to think freely. 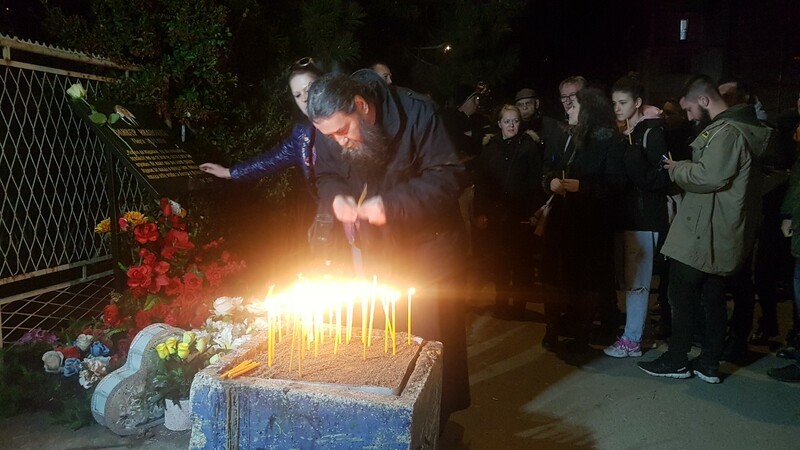 The protest ended at the site of the murder of Ivanovic, where the protestors, including Ivanovic’s oldest son Nikola and his wife, Marina Ivanovic, honored him by lighting candles. A minor incident occurred at the very beginning of the protest walk. 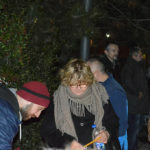 Prior to the walk, one of the organizers and a member of Ivanovic’s SDP party, Marko Jaksic thanked the gathered people, who are, according to him, „the bravest people” in Serbia. „We who have decided to organize this, we were brave and we were under pressure. The pressures that were placed on you were much bigger, stronger and dirtier,” said Jaksic. 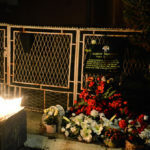 In addition to official requests for the perpetrators and the instigators of the murder of Oliver Ivanovic to be discovered and the freedom to express political views, Jaksic also requested protection for the protesters. „If something bad happens to anyone who is here this evening, Marko Djuric will be responsible,“ he reiterated his statement from earlier this week. „No more burned cars, no more threats, no more blackmail, no more bashed heads, no more political murders because we are different, everyone has the right to defend their views. 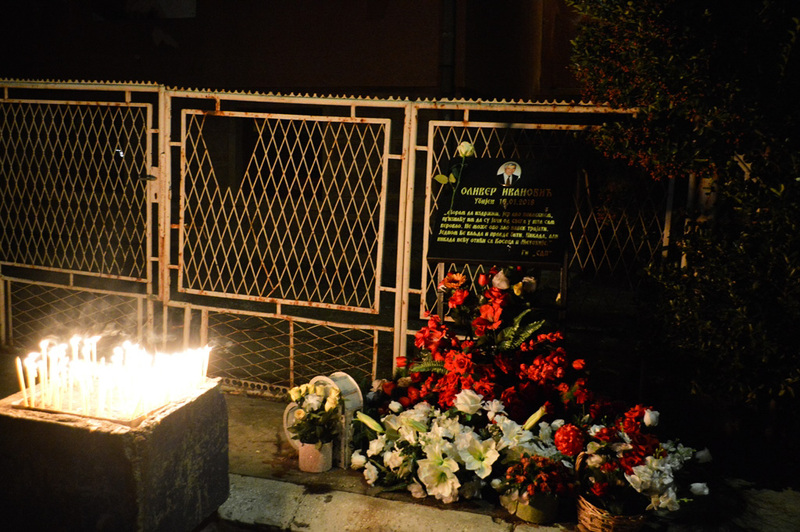 After years of terror, pressure, blackmail, burning cars, buildings, beatings and at the end Oliver’s murder, that’s enough,“ Jaksic concluded. 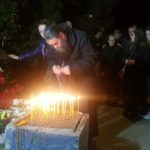 „We walked tonight because we want to live in a more free society, because we have plenty of cases like this one, where we are, unfortunately, lighting candles tonight. 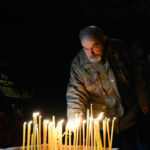 I have a message for all those who are against such events that their defeat is that they do not know what our victory is,” a member of the SDP, Dusan Milunovic explaining the reason why he protested, adding that there are many who also wanted to come, but did not because they were “frightened”. „I walked for freedom, democracy, justice, freedom of speech, movement, different opinions, I walked for Serbia, I walked for my Serbs who are walking throughout Serbia. 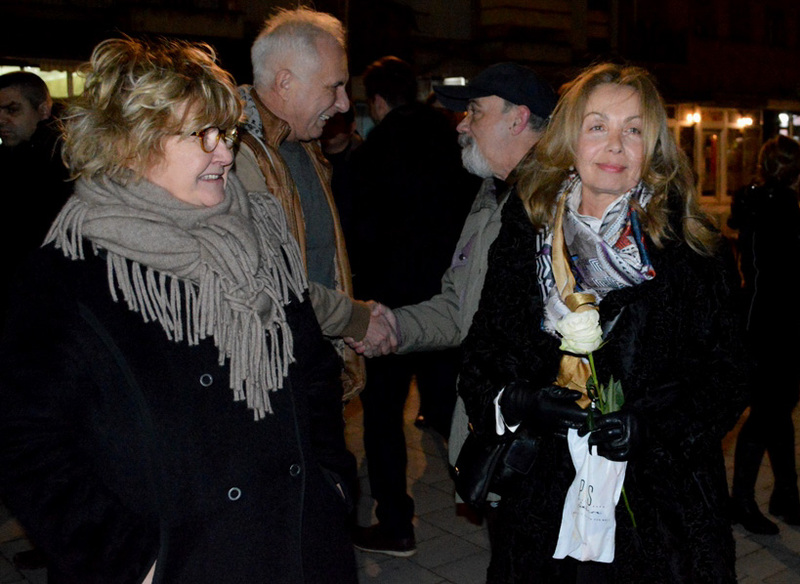 This is not a protest directed against Serbia, as it has been said, it is a protest of Serbia for its own Serbs,“ North Mitrovica citizen, Radmila Subotic told KoSSev during the protest. „Because our generation is living with shame. That’s why I came out, to be myself. As you can see, the black days of decay have developed, the scum has spread, and perversion, and vice, the rotting stench of decay is felt. All heroes and prophets have died. 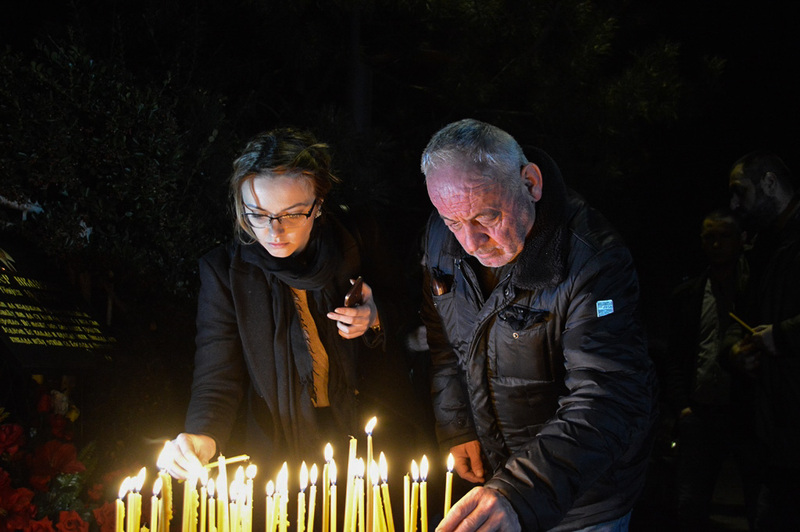 And again, our generation lives with shame, neither protests nor cries are heard,“ one of the protestors, Dragoljub Bubi Drazevic said, paraphrasing of the verses of a famous Serbian poet, Vladimir Petkovic Dis. 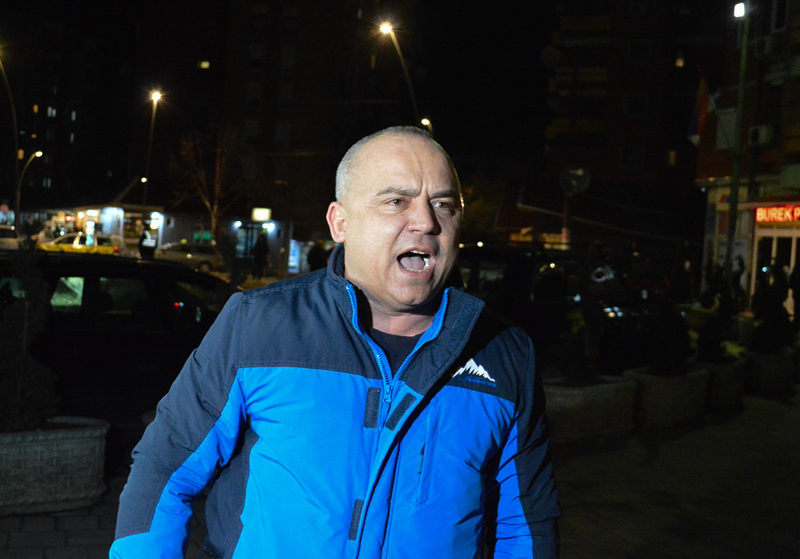 The protest was also attended Kosovo Serb politician, Rada Trajkovic, and the owner of RTV Mir, Nenad Radosavljevic, as well as three members of the opposition movement “Lokalni Front” from Kraljevo. 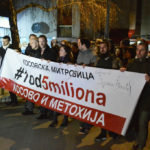 The “1 out of 5 million” protests against violence, media censorship and false reporting, but also the policy pursued by the current government of Serbia and President Aleksandar Vucic, have been organized in 27 other towns throughout Serbia. 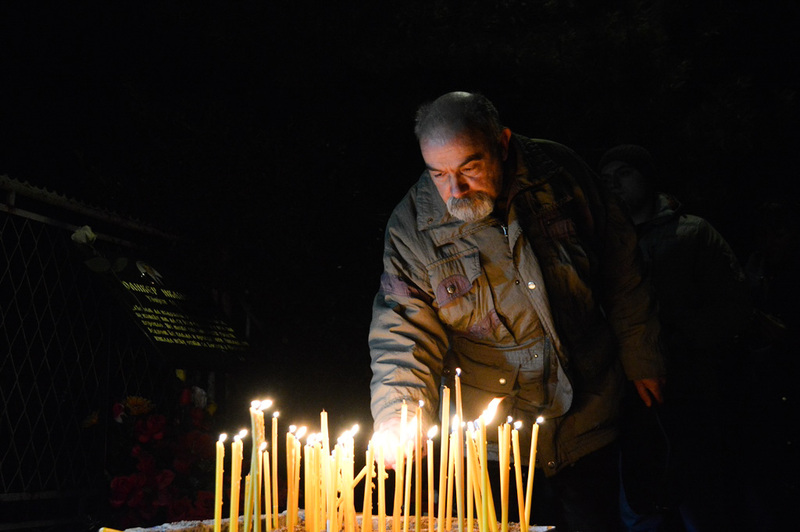 One of the constant demands of the protestors is to find out who killed and ordered the murder of Oliver Ivanovic. 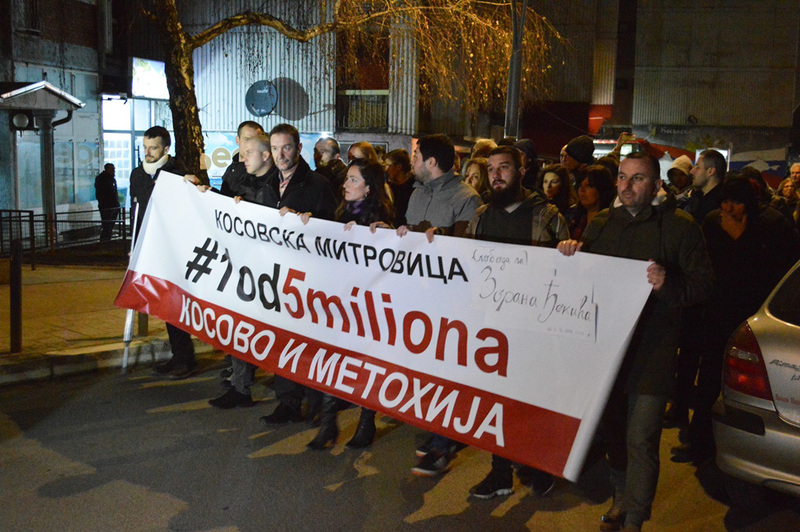 The Serbian government and President Aleksandar Vucic do not support these protests. Multiple complaints about the alleged pressure not to attend the protest walk on Saturday and that the employees of institutions were obliged to appear a day earlier at the rally have been arriving since last week. 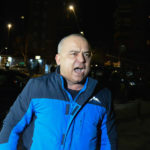 The rector of Pristina University, Rade Grbic and the head of Mitrovica Hospital Center, Milan Ivanovic, however, denied these allegations for KoSSev.